WASHINGTON: Turkey may expand its operations in northern Syria to Manbij city and east of the Euphrates River after Afrin has been cleared, Turkey’s foreign minister said late Tuesday. Mevlut Cavusoglu spoke to reporters after meeting with his US counterpart Rex Tillerson in Vancouver, Canada, where he was attending the Vancouver Foreign Ministers’ Meeting on Security and Stability on the Korean Peninsula. “Turkey’s precautions against YPG/PKK cannot be limited to only Afrin. 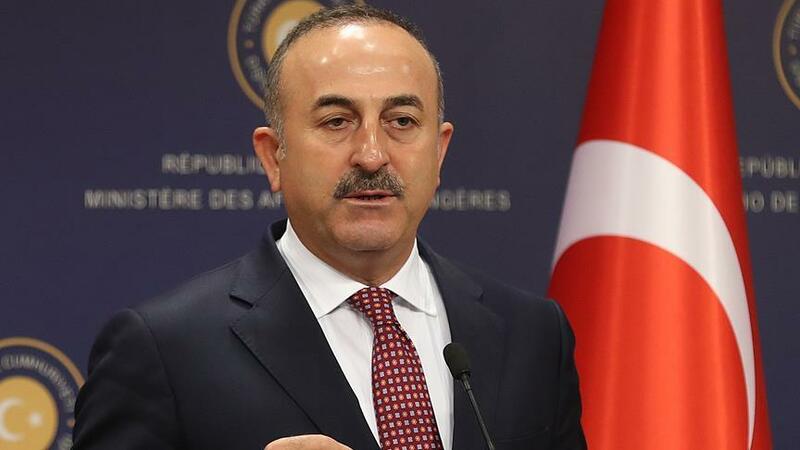 There is also Manbij and east of the Euphrates River,” Cavusoglu said, adding the US plan to establish a border guard in northwest Syria “irreversibly harms US-Turkey ties”. On Sunday, Ryan Dillon, spokesperson for the US-led coalition against Daesh, announced plans to establish a 30,000-strong border security force in Syria with the SDF – a US-backed group drawn up largely of PYD/PKK terrorist elements. The PYD/PKK is the Syrian offshoot of the PKK, which has been designated a terrorist organization by Turkey, the US and the EU. Since the mid-1980s, the PKK has waged a wide-ranging terror campaign against the Turkish state in which an estimated 40,000 people have been killed. Cavusoglu said different opinions among the Pentagon and Centcom as well as different institutions and ministries in the US regarding support for the SDF and the PYD/PKK have been causing the problem. Noting past US behaviour regarding Manbij and Raqqah and its support to the PYD/PKK, Cavusoglu urged the US to fulfill its promises. “The promises made on Manbij and Raqqah have not been kept,” Cavusoglu said, referring to a promise by the US that local councils would run the cities after they were liberated, but the PYD/PKK took control. “In the same way, the promises about the steps that need to be taken after [the liberation of] Raqqah have also not been kept,” he said. “The US has previously stated that the PYD/PKK was not their strategic partner, [that] in fact, they were only working together to defeat Daesh,” he noted, urging the US to stop supporting the group and to retrieve its weapons as Washington promised. “As we can see, we have so many reasons to be sceptical, and we have enough reasons to take our own precautions,” he added. Earlier in the day, the Pentagon said the US acknowledges Turkey’s concern over its plans for a border security force in Syria and “close communications” with Turkey will continue.